By enabling VMware Fault Tolerance you can maximize uptime in your datacenter and reduce downtime management costs for your virtual machines. VMware Fault Tolerance is based on vLockstep technology, provides zero downtime, zero data loss continuous availability for your applications, without the cost and complexity of traditional hardware or software clustering solutions. VMware VMsafe is a new security framework for VMware partners to use to protect virtual machines on an ESX(i) host. VMSafe uses the VMware application program interface (API) to monitor virtual machine behaviour en act on abnormalities. The result is an open approach to security that provides customers with the most secure platform on which they can virtualize their business-critical applications. All major security/anti-virus companies participate in the VMSafe Partner Program, like McAfee, RSA, Shavlik, Sophos, Symantec, Tripwire, Check Point and so on. With vNetwork Distributed Switches you can simplify and enhance the provisioning, administration and monitoring of virtual machine networking. vNetwork Distributed Switch provides a centralized point of control for datacenter level networking and moves beyond per host network configuration in virtual environments. Virtualization introduces a shared, dynamic environment that enables better, more effective capacity utilization. This constantly changing environment provides the business agility you need, and requires fine grained visibility and planning. VMware vCenter CapacityIQ ensures optimal alignment of business demand and IT resource supply making your capacity both efficient and predictable. VMware vCenter CapacityIQ continuously profiles, analyzes and tracks your capacity needs at multiple levels: virtual machine, host, cluster and datacenter. Based on historical capacity consumption patterns, VMware vCenter CapacityIQ trends and forecasts your current and future capacity needs, ensuring that capacity is always available and service levels are met. With VMware vCenter Data Recovery you can create quick, simple and complete data protection for your virtual machines. vCenter Data Recoveryis a disk-based backup and recovery solution. VMware vCenter Data Recovery is your first line of defense for protecting your virtual environment. 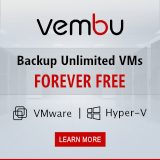 It’s fully integrated with VMware vCenter to enable centralized and efficient management of backup jobs and also includes data de-duplication to save on disk storage for your backups. VMware virtualization creates a dynamic environment that presents new opportunities for automating and managing the datacenter. Maintaining visibility and control in an environment that is flexible and changes rapidly is critical. Virtualization introduces news entities, relationships and actions to manage but also creates better ways to automate and manage configuration change. vCenter ConfigControl lets you harness the flexibility and velocity of virtual infrastructure while improving control. Leverage a powerful workflow engine to automate tasks for VMware Infrastructure and enable orchestration between multiple solutions. VMware vCenter Orchestrator allows for best practices to be captured and turned into workflows. This process helps enable consistency, standardization, and achieve overall compliance with existing IT policies. VMware vCenter Orchestrator provides out of the box workflows that can help administrators automate existing manual tasks. Deliver cost analysis, measuring, and billing for VMware Infrastructure with vCenter Chargeback. Fully integrated with vCenter, VMware vCenter Chargeback delivers the ability for administrators to understand costing and drive accountability across business units. Base cost models, fixed costs, and additional factors can be entered into VMware vCenter Chargeback for proper business alignment in addition to allowing for costs to be propagated across an environment correctly. VMware vCenter AppSpeed provides proactive performance management and service-level reporting for applications running within virtual machines. VMware vCenter AppSpeed provides IT Admins visibility into the multi-tier applications (performance, usage and dependencies) running across both virtual and physical infrastructure. Easy to install and non-intrusive, this self-configuring solution discovers, monitors, and reports within minutes of download.